The British Safety Industry Federation (BSIF) announces the 2017 Safety Awards champions to a packed audience at the Health & Safety Event 2017 at the NEC in Birmingham. The winners and finalists of the Product Innovation Award, Service Award and Safety Excellence Award were revealed. The award based upon case studies submitted by entrants, these awards recognise major improvements in occupational safety created in 2016/2017. 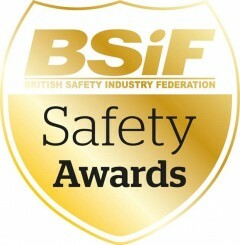 To find out more information from the BSIF visit our website www.bsif.co.uk or follow us on Twitter @BSIF1.